Sample Thought: I CAN RELEASE THE PAST AND FORGIVE EVERYONE. I free myself and everyone in my life from old, past hurts. They are free and I am free to move into new, glorious experiences. I wish this played every morning on the TV, instead of the News. Would be a different World. 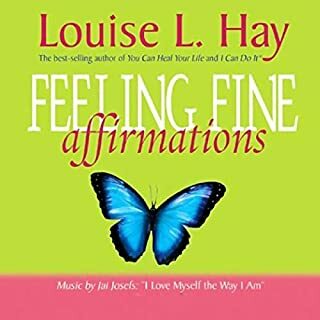 I thought that this would be an interesting way to use affirmations, but what I have found is a powerful tool that is helping to change me to be a more positive person. Since I have started to listen to this, I have found that I am more open to new thoughts and more positive with my relationships. This is such a positive, self-affirming set of thoughts! Like Wayne Dyer, this collection of thoughts will (mostly) resonate. I like listening to this in traffic or after a real heavy day. Its different to most books, because you don't actually have to listen to each thought, and if you miss out on one idea, there's always another just round the corner. I would class this book as almost meditative in nature. 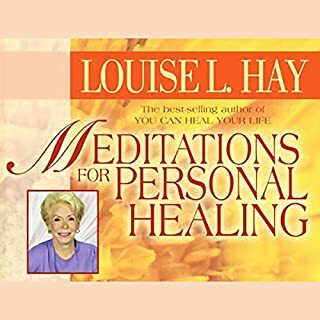 I notice Louise has many books and audios out. This was one audio I bought because of its cost--ended up being a great value. 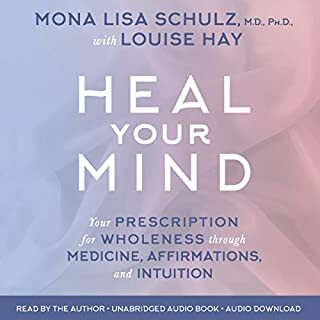 This is one good audio of many affirmations that either I can accept or ponder on. The affirmations are accompanied by some peaceful piano music. I especially like to ponder on some of the affirmations to see whether they apply or not to my life. Or whether I can extend the affirmations to other aspects of my life. I like to listen to Louise when working on something a bit stressful or when I'm tending towards negative thoughts. Sometimes its just good to have someone remind me of the many great things about me or how many of the negative things in life are actually seeds for future growth. Whats interesting is that I do feel powerful after listening to her soothing voice. And her voice and emphasis are genuinely caring and thoughtful, not just a marketing pitch. 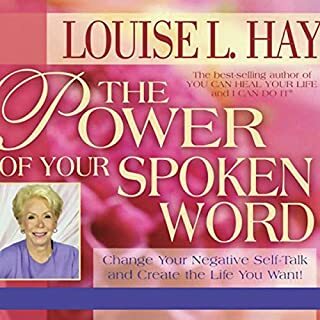 Also, Louise Hay runs Hayhouse Radio, a station with many weekly discussions between certain authors like Wayne Dyer and everyday people calling in. I also have gone to the bookstore and see that her books are well written and mature. 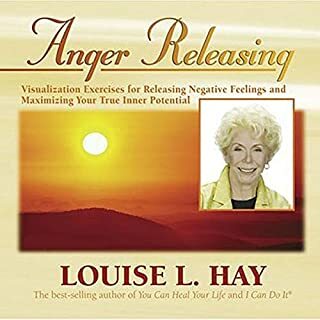 It's a guide for buying some more of her audio books. 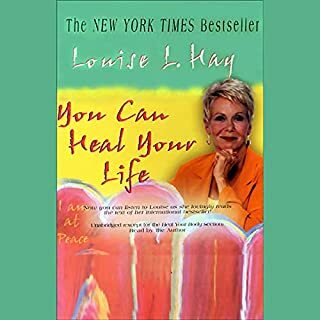 I read more on Louise to find she is real product of her work. Nothing better than someone who nows what it's like to go from the bottom to a glorious life. 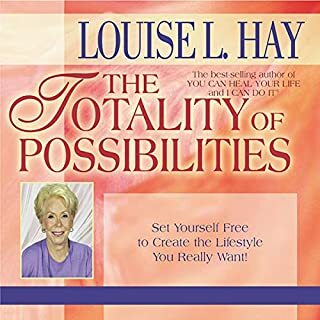 The thoughts are great, especially if you are a Louise Hay fan. However, this particular audio book is annoying from a technological perspective. The background music is too loud and almost drowns out the all-important thoughts. Also, the speed of the audio is a tad too fast. Rather than enjoying listening to it, I feel my heart rate speeding up because of the speed of spoken word and music and the volume of the music. I don't know that I will actually listen to it as often as I had hoped. Too bad we can't separate the background music from the spoken word. 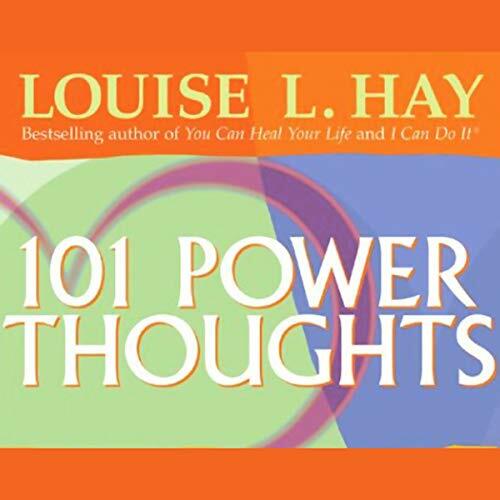 101 Power Thoughts is packed with excellent affirmations! Since I can only manage two 15 min sessions a day I really prefer a slightly faster pace. Also: Her tape "What I Believe and Deep Relaxation" is also excellent moves at a slower pace and has an awesome 15 min. meditation that is also super charged with positive affirmations. 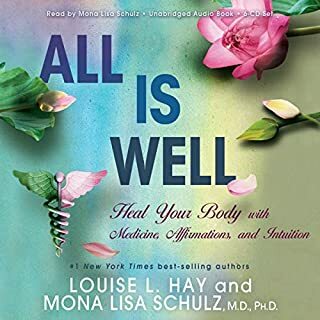 I listen to this audiobook every night while I get ready for bed. I am filled with peace. I have found that over time I have shifted from my previously negative thinking to thinking that is much more positive. In general, I feel MUCH better about myself and the world. Listening to the title once was enlightening, but letting the messages steep down into my subconscious by incorporating them into my daily routine is how I've been able to make substantive changes in my life. "I love you." I'm honestly surprised at all the positive reviews. This recording needs a different title. Maybe, "Louise Tells You How to Live Your Life." If you're here skimming reviews to determine if you should purchase this, here are the things I think you should be aware of... 1.) She will tell you that you were homosexual in a past life. 2.) She will imply that you aren't living right if you aren't vegan. 3.) She will tell you that there's something wrong with you if you have a cluttered home. 4.) She will tell you that your car and your clothes are a reflection of who you are. 5.) In between affirmations she slips in little nuggets about things that SHE does in her daily life. And then brags about how whole, loving and peaceful this makes her. For example, she never feeds her pets canned pet food, only real food. 6.) Rather than being affirmative, I felt a negative tone to the messages. She would present a positive affirmation and then back it up by saying that if you don't do xyz then you're flawed. For example, if you don't love yourself then you will ruin your romantic relationships by being clingy, pouty and needy. I'm totally hip with veganism, homosexuality and taking care of the planet (she only uses natural products, by the way). But, I'm so not down with preaching it at people with this black and white attitude of "my way is right, yours is wrong." One could definitely come away from this feeling pretty crappy about themselves. So, listen at your own risk. 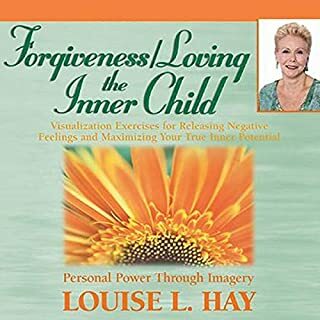 When I listen to Louise's power thoughts, I feel less stress, more love and more peace. 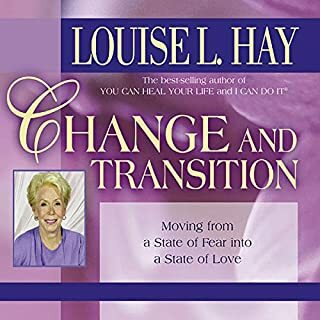 I've also seen some positive changes in my life which came about without much effort on my side, except for listening to Louise...so I warmly recomend it to everyone. Very uplifting. If you struggle with the challenges and stress that every day can throw at you then listening to this at least once a day, preferably two, will help ease the burden of that stress. 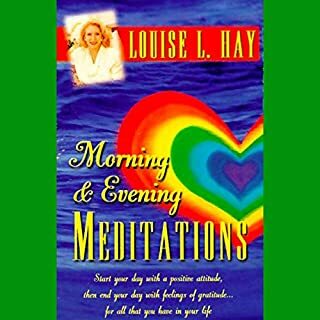 I listen to Louise Hay as well as using other meditation and hypnosis and also reading works by Tony Robbins. I am feeling much more positive about my present and future. 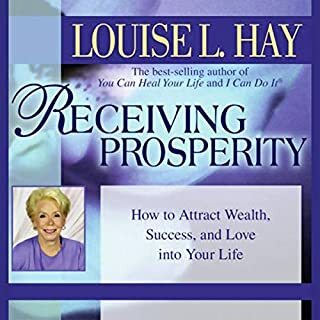 Give Louise Hay and Tony Robbins a try. You have nothing to lose but so much to gain. 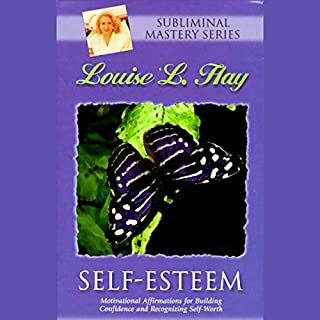 This book contains a stream of positive affirmations -I would recommend this to anyone who has negative thought patterns. The music is too loud and overpowering. It would be so much better without the music. 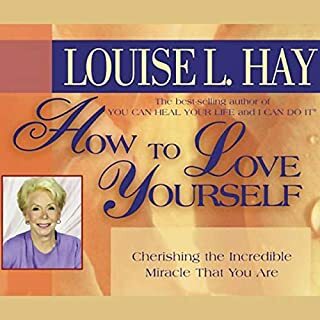 I love Louise Hay and her teachings. Her ideas have always given me comfort and strength in the most difficult moments of my life. Her work will live forever. 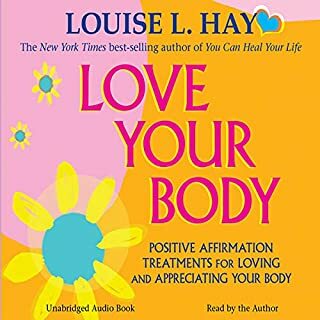 Absolutely adore Louise Hay her books really have changed my life. Every word she speaks makes total sense. Would highly recommend any of her books. This book look like a meditation. I loved it because it gave me a beautiful thought and make every thing around me look better. I wished it was little longer. I recommend it to every body. If you could sum up 101 Power Thoughts in three words, what would they be? 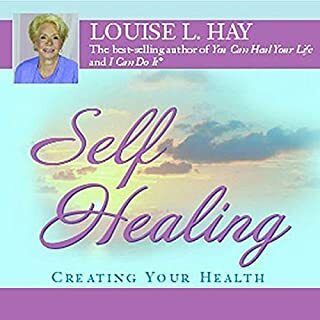 Helpfull, Uplifting and life changing. What other book might you compare 101 Power Thoughts to, and why? Any effective self help book or helpfull guidelines to live a more fulfilling life. 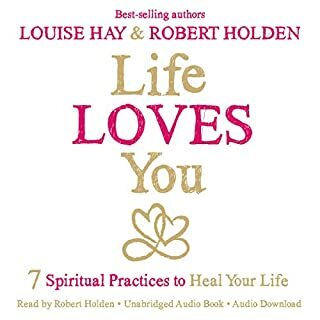 This is one of the most complete affirmations book within a generic theme: life. 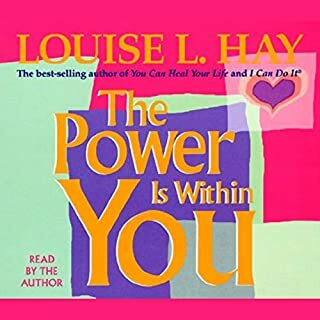 You will find different power thoughts for almost eery aspect of your life which helps you understand what aspects of your life need immediate addressing. Personally I struggle with accepting deservality, the believe that I have all it takes to change my life and how aware I need to be of my own thoughts in order to create the life of my dreams. It takes a while but I can see the changes in my life through my new thinking . Where I am is very far away from where I was 2 years ago. Its a good way to start a life changing process which is ongoing.